Last month I was diagnosed with something birds never get—breast cancer. We call the chest area of most birds the breast, but that just refers to the dense muscles in front of their sternum (the keel bone). Those muscles power the wings. Muscles are composed of two types of fibers: white, or “fast twitch,” and dark, or “slow twitch.” In turkeys, chickens, grouse, and pheasants, the breast muscles are made up of mostly white muscle fibers, giving the wings extraordinary power to take off in a hurry when a predator approaches. Human sprinters have a higher white-muscle-fiber ratio in their leg muscles than long-distance runners. White muscle fibers may be superior for power and speed, but fall short in endurance. Turkeys and pheasants can’t fly very far normally. Hunters quickly learn that a grouse is easily flushed once, a bit less easily a second time, and it’s hard to get it to flush more than that. 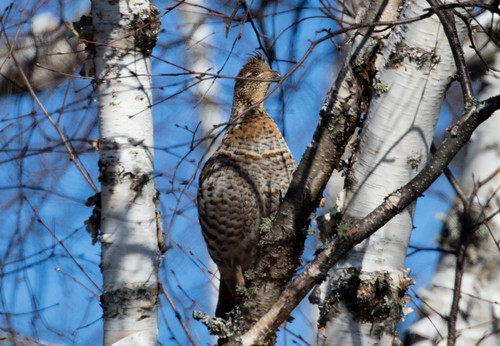 When Ruffed Grouse drum, their beating wings reach a wondrous speed, but that completely wears them out. White muscle fibers have fewer mitochondria, and the muscles themselves have a much smaller blood supply, so lactic acid building up in them during activity isn’t flushed away very fast. You can tell how long it takes to replenish that blood supply by how long a drumming grouse rests between performances. Most songbirds, and ducks and geese, power their wings with a preponderance of red muscle fibers. The rich and steady blood supply allows them to sustain flight for long distances. For as rapid as their wing beats are, hummingbird wings are powered entirely with red muscle fibers, belying their “slow twitch” reputation. Human marathoners and mile runners have a higher ratio of red muscle fibers. 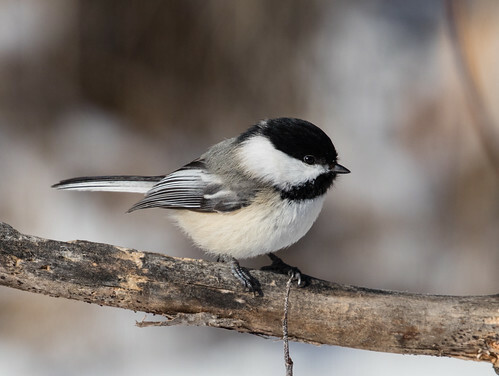 Birds that use their legs for long-distance swimming, walking, or running have a preponderance of red muscle fibers to power them without tiring. When people eat a bird, they call the muscle types "dark meat" and "white meat." But for all that, birds are lacking one thing that we humans have--mammary glands. So our vernacular use of the word breasts for birds is quite different from that for humans. Most mammals have their mammary glands lower than the breast area. Dogs occasionally get breast cancer, but not up on their chests. Anyway, my own form of breast cancer is a relatively rare one—a papillary carcinoma. And it was further to the side and above where many breast cancers are. I had surgery yesterday, and even though my wonderful surgeon, Dr. Kathleen Monaghan, removed both the cancerous mass and one or two sentinel lymph nodes, she did it with just one incision—I have no more discomfort today, the day after surgery, than I did after the needle biopsy. And the lymph nodes were negative, so there was no need for axillary node dissection. 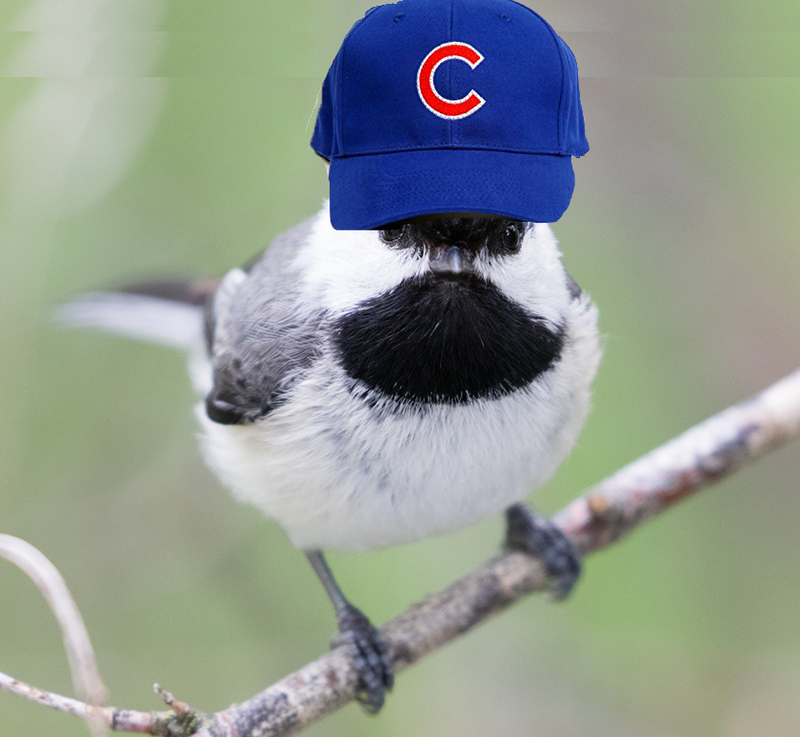 The anesthetist and nurse anesthetist (I spaced on their names) also did a superior job—I woke up from the anesthesia with the song "Go Cubs Go" running in my head, and chickadees and Cuban Todies on my mind, so I seem to be pretty much back to normal. I’m not going to push it with using my arm—my son Joey bought me a monopod so I can take pictures without bearing the weight of my heavy camera on my left arm. My surprise in opening that package and realizing the extraordinary thoughtfulness behind it was the only moment I’ve cried through this whole situation—and I’m a person who cries embarrassingly easily when watching movies and even TV commercials. I won’t know until I get the pathology report next week what will be next, but so far everything is about as good as it could possibly be. I wasn’t expecting to be able to produce my radio program and blog for a week or two, but I’ve apparently been proven wrong about that. Well, that is spectacularly good news! I am so glad to hear that the lymph nodes were clear, and am crossing thumbs on the pathology report. 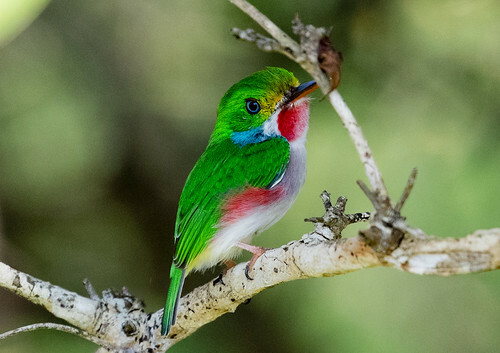 Cuban Tody, hot toddy, toddies from places besides Cuba --- now I'm just all kinds of curious. I'm trying to remember life before internet search engines. When our curiosity was aroused was it like a whisper we shushed till we could get to our encyclopedias or the library? Nowadays it is hard to ignore the pull to find out more. Makes me smile to know that you will be able to produce your radio show without having to take a break these couple of weeks. I remember that you have been producing it for a distinctively long time, and have great memories of your doing it when you were hear with us. Laura, having been through a similar situation in December, diagnosed as Ductal Carcinoma In Situ, I breathed easier when it turned out to be stage zero. I wish that for you. I hope the hormone regimen works for you, too. God bless. Thank you for being you. Happy to hear you are back in the saddle and thus far are faring well as far as breast cancer goes. Wishing you more good news! Miss your posts on Facebook, BUT LIFE IS EVERYTHING THAT HAPPENS WHEN NOT ON SOCIAL MEDIA. So keep on living! I say this with much admiration for you! You impress me with your wonderful attitude! I wish I were as strong as you. What a wonderful son. Comes from good stock!